Versatile expandable packs and inner pockets. Convenient “D”-ring for leash attachment. Quick assist handle is adjustable. 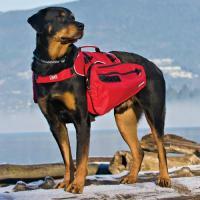 These backpacks are great for day hikes or just messing around on the homestead. Why not make your furry little buddy earn his food by carrying his or her own water and treats, as well as your car keys and sunglasses? The wide range of sizing means that even the smallest of dogs can head out on an adventure! 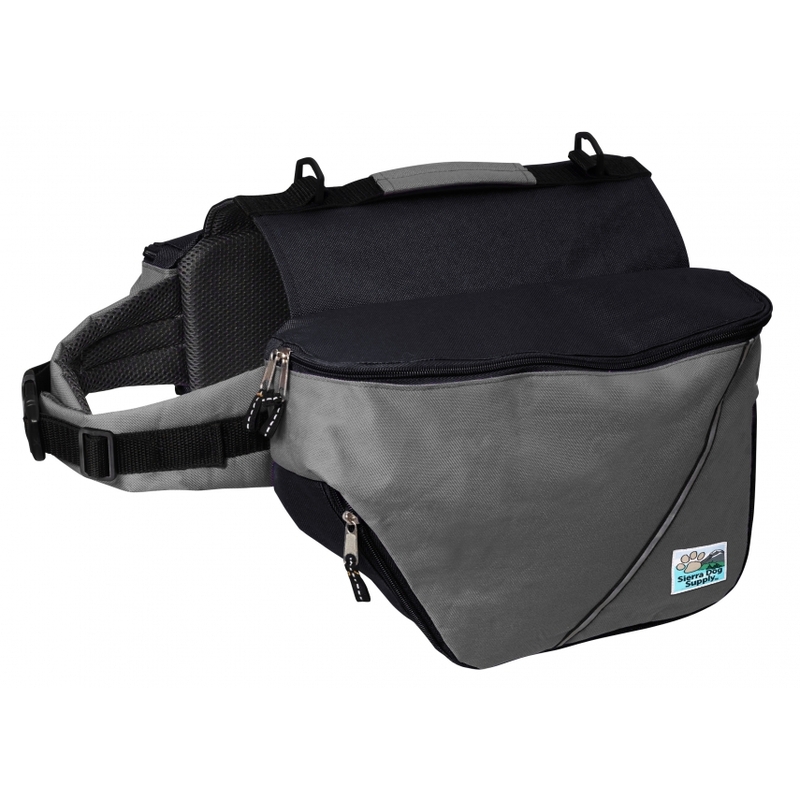 The ergonomic fit around the shoulders and the wide wide mouth opening helps to fight fatigue. The “D”-ring means an easy leash attachment if you run into other hikers or when you get back to civilization. These backpacks are extremely durable, but they have fixed bags and are not intended as a heavy-duty backpack for long adventures. So if you are hiking the Appalachian Trail or something similar, consider purchasing one of the Extreme Backpacks or an Ultimate Trail Pack. * Girth is measured around the widest part of the ribcage.